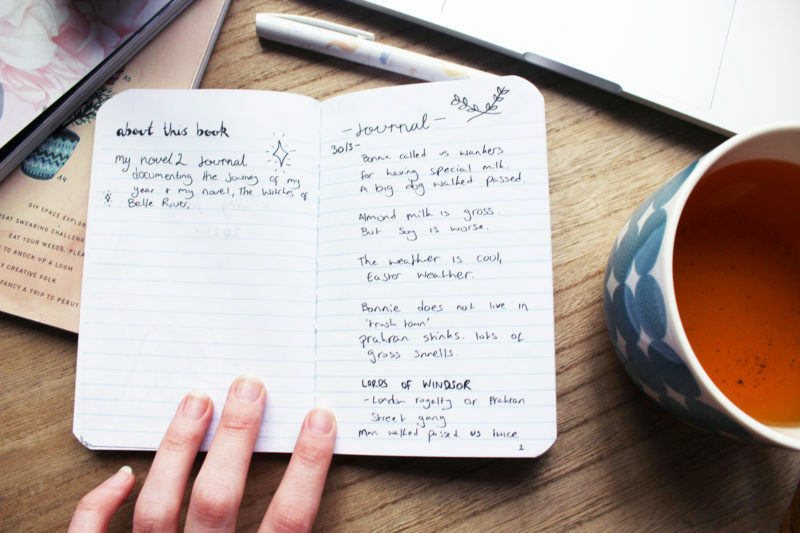 Let’s talk about journal keeping! Not going to lie, I’ve never been a good journal keeper. I’ve always found the process boring and I never ever remember to do it regularly. This little journal has been super different! We started writing these journals as a part of our novel 2 class at uni where we have to write an entire novel through the year and surprisingly I have really taken to it! My first page (see the image above!) is a journal entry page, these are scattered through the journal and have been super fun to jot down ideas and thoughts throughout my day. A little piece of inspiration on this page is the Lords of Windsor! I saw this graffitied on a wall and it stuck with me! I couldn’t help but wonder who the Lords of Windsor were! This page is a little brainstorm and list of the major locations for my book! I’ve set the story of ‘The Witches of Belle River’ in Belle River, a small town just out of New Orleans! The inspiration for the prep school was a town I randomly found on a road trip called St James! The population was 89 and the name stuck with me. 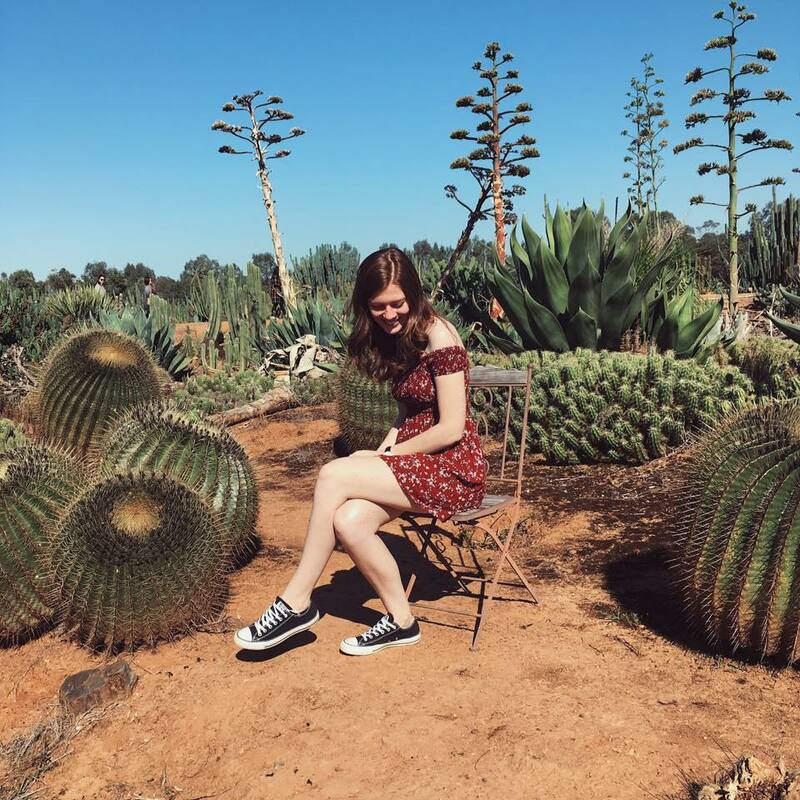 As you can see from this page, I’ve really been incorporating my interest in typography and plants to keep myself motivated to write entries and to make it look super cute and inspiring! 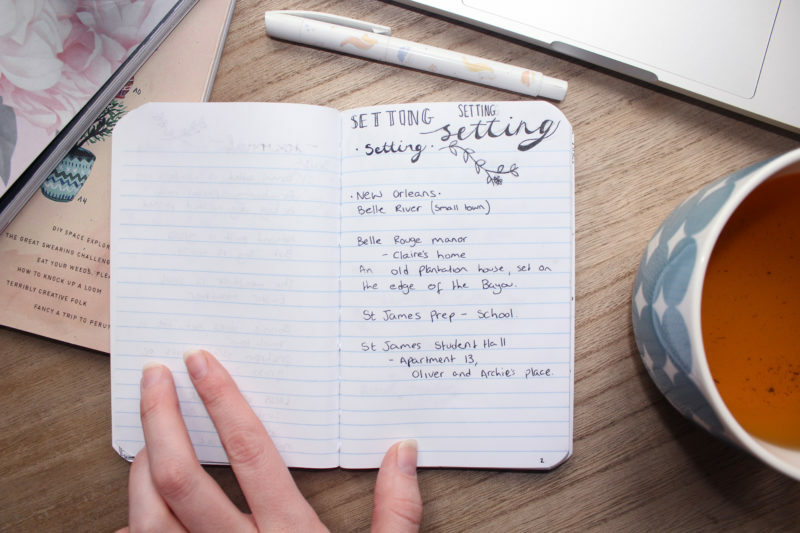 This would be a top tip for anyone who wants to start doing any journalling, make it super personal and do things to it that make you interested. It makes the process way more fun and the end result is CUTE! This page is a character page. I decided to add these in so that I can have all my characters compiled and on hand for if I ever need some quick info on them! These were probably my favourite pages to do because I also customised the layout and lettering to suit the character. This page is dedicated to one of my leading ladies, Claire! She’s definitely going to be a kickass character that I’m sure readers will love as much as I do. 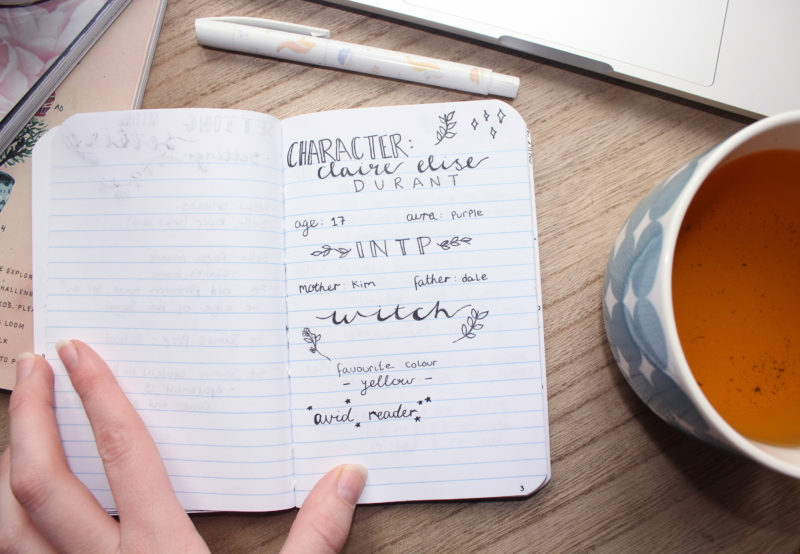 She’s 17, an INTP and a witch! More posts of this kind coming soon! Previous Article Twisted Fates Aesthetic: Alekzander ‘Zander’ Perditus. Next Article The Emerging Writers’ Festival 2017!